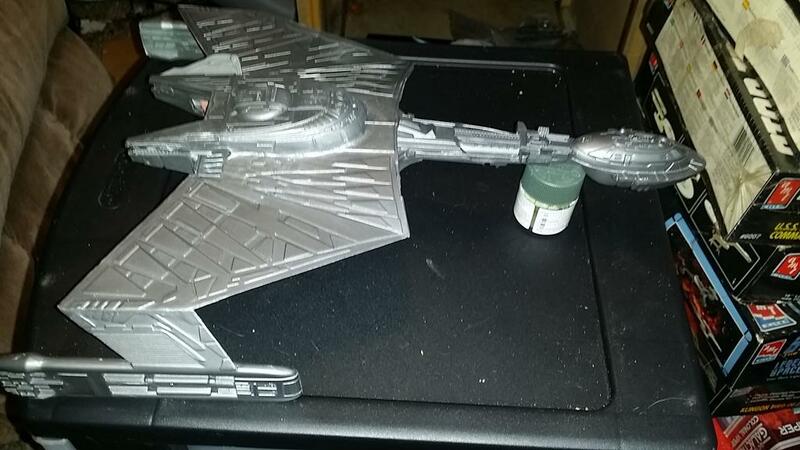 Don't mind my messy workshop/office, I am rearranging everything, but here she is with a base coat of Titanium on it. I think if Kirk saw something like this he'd say the same thing Picard said about the Scimitar- "She's a predator". 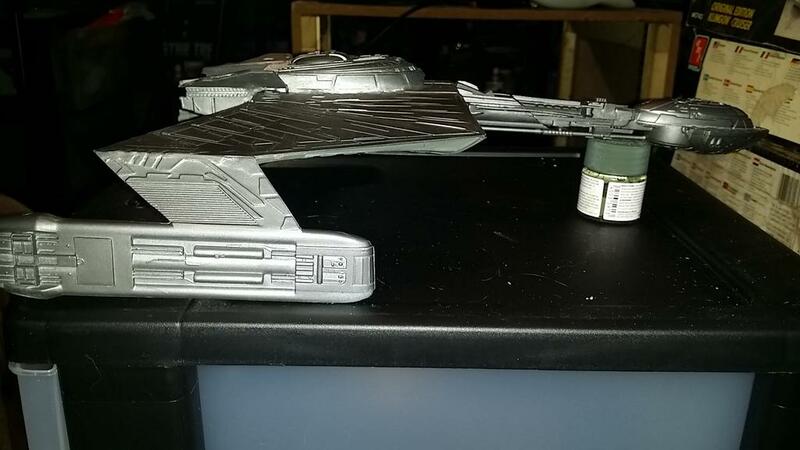 I never met a Klingon ship I didn't like..... and this one looks fantastic!!! Yeah that is very cool!